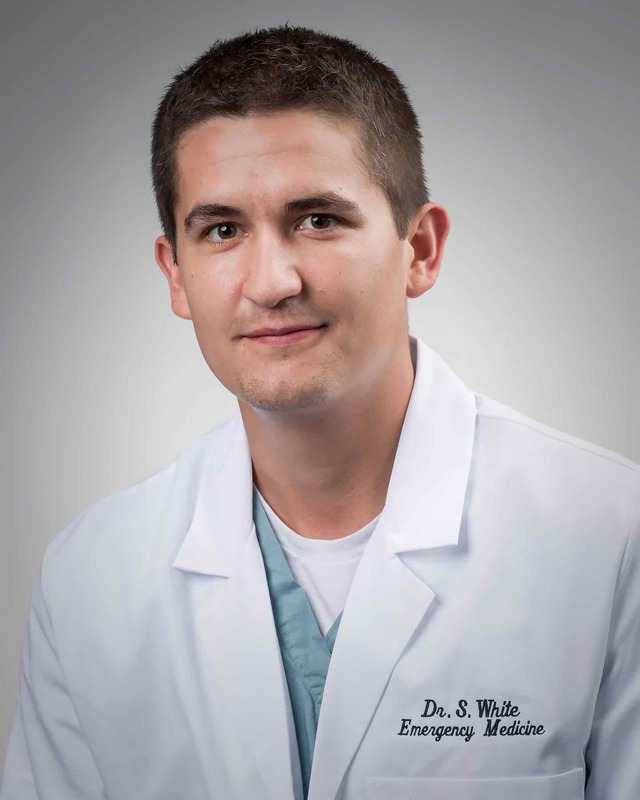 Spenser White is a graduate of the University of Kentucky College of Medicine and a member of the Palmetto Health EM Residency class of 2018. 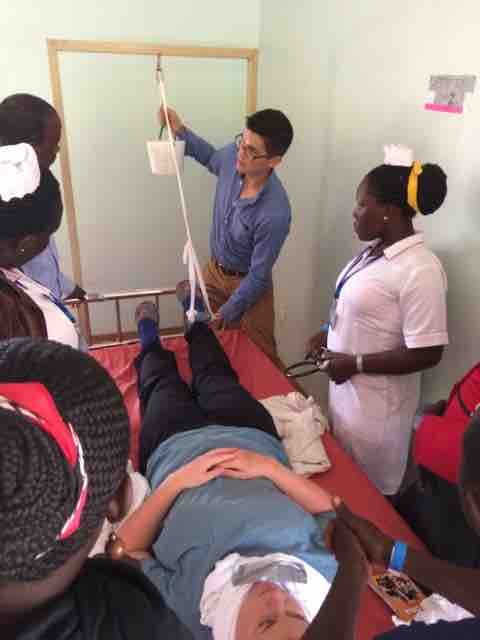 It was my first night on call…in Uganda. I had a reputation and precedent for difficult first nights, reflecting that my initial intern overnight shift the weekend of the July 4th had been quite hectic to say the least. Now, two years later, and halfway across the world, the universe would try for a repeat. I woke up to the vibration of the vintage appearing cell phone dancing across the cement floor. Still groggy, I looked at my watch to see it was only 12:30 in the morning. I answered the phone to hear the familiar voice of the hospital midwife on the other end. Although difficult to interpret through her thick Ugandan accent, I understood they had what appeared to be some sort of obstetrics emergency. Obstetrics! Sure, I had seen a few births as a medical student and even delivered the 10 uncomplicated babies required as an intern, but that was a long time ago, and I had never seen a complication. It was a quick stroll down the dirt road to the medical center and I was greeted as always with smiling faces from the staff. 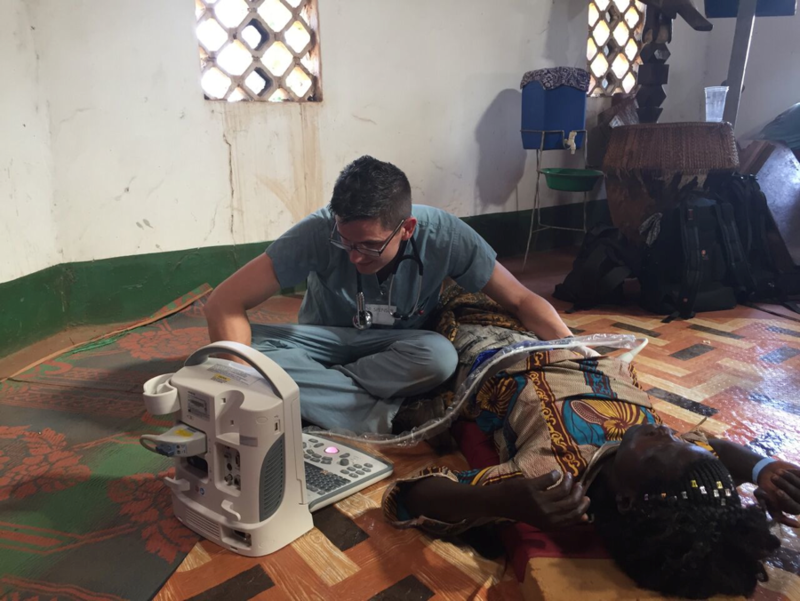 Walking into the room I saw a young African woman laying over a blue tarp on the delivery table in active labor. The midwife explained that the woman had ridden in on a boda-boda (the local term for motorcycle) through the night and the staff noticed that the woman had a previous C-section scar but no one knew why. I admittedly did not know why it mattered at the time. Attempts to discover its origin were futile because the soon-to-be mother spoke one of the other 70 different languages in the region. Soon enough, I would understand the significance of this scar. Gowned and sterile, I was standing in front of the groaning woman as she pushed with every encouragement from the midwife. Finally I could see the baby’s head crowning. Continued pushing yielded increasing visibility until finally the head delivered. I was pleased, as everything had gone to plan. Then the head started to retract back in, and a fear ran over my body as I immediately recognized the complication that was unfolding. Shoulder dystocia - when labor is obstructed because the fetal shoulders fail to deliver. I knew it could be fatal if not quickly corrected due to compression of the umbilical cord in the birth canal. In fact, it was an obstetric emergency I had read about, and even practiced on a simulator, but never seen in real life. Panicking on the inside, I instructed the patient’s grandmother to help hold the legs as far back as possible, a maneuver called McRobert’s. Still no budge. I applied pressure over the lower pelvis as I had recalled being taught. Nothing. I pleaded with the woman to push harder, knowing she did not understand a word I uttered. The midwife handed me a pair of scissors and asked if I want to perform an episiotomy. At about this time, the shoulders start to emerge and with one final push the baby was delivered. The cord was wrapped around the neck at least twice so we quickly unravel it to find a lifeless, blue, and apneic newborn. Attempts at stimulation were quickly made, but it was apparent the baby needed help. I asked for the pediatric intubation supplies, but by the look on the midwife’s face, I knew they did not exist. With no time to spare I instructed to find the smallest mask in the hospital to fit on the ambu bag. For the next 20 minutes, the midwife and I resuscitated the newborn, one person bagging, another with a stethoscope on the chest (our version of a monitor as one did not exist). Gradually, we saw improvement, and signs of life began to emerge, until eventually, the child was breathing on his own and even let out the long sought after first cry. After attending to the 2nd degree birthing laceration on the mother (another first), I sat outside. Still drenched in sweat, I settled in a moment of reflection, wondering what else lay in store, as I wasn’t even halfway through my first night. I wouldn’t have to wait long to find out. About 5 nights later I received another memorable call. The aforementioned mother and baby were already thankfully discharged home healthy by this point. This call was for a young man that had been dropped off after being in a motorcycle accident a few hours away. “Finally,” I thought, “this is something I know well”. When walking into the room my first thought was that the patient looked sick. I asked for the first set of vitals, which confirmed my suspicions. The patient’s blood pressure was low, his heart rate was high, and he appeared confused. The young man was in shock. 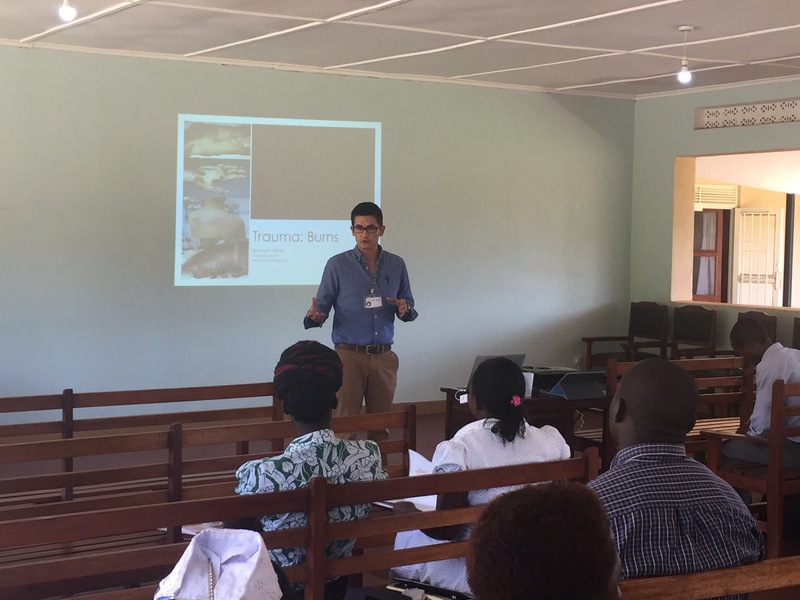 My program had equipped me with an ultrasound that plugged into a tablet, so a trauma scan was first. 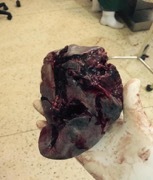 Blood was visualized throughout the patient’s abdomen and it appeared that his spleen was in multiple pieces. The young man needed immediate surgery or he was going to die. The regular surgeon was not available so a surgeon from the neighboring government hospital was summoned. As we roll the man’s gurney down the gravel walkway connecting the outpatient hospital to the surgical theater, aggressive fluid resuscitation was started because there was no blood in the facility for transfusion. Ketamine was the anesthetic of choice for all surgeries and this was no different. No intubation, just Ketamine. The patient was placed on the operating table and the abdomen was prepped with betadine. The surgeon and myself were scrubbed and ready, and as we go for the first cut, the room goes dark. It wasn’t unusual for the electricity to go out in Uganda, but it was the middle of the night and time was precious. Our patient was going to die. The moon was bright enough that night to see the others in the room. One of the scrub techs said they would try to turn on a generator, but not knowing how long that would take, we found a camping headlamp and held it from the foot of the bed, giving just enough light to view the surgical field. Guided by the surgeon whom I had just met, I cut the spleen from its vessels. I looked up at the others in the room, none of which seemed as astounded as I must have appeared that we just removed someone’s spleen in the middle of the night with a 10 dollar battery powered lamp. Blood loss was massive and the patient was unstable. While fluids helped, he needed blood, and our facility had no blood bank. Nurses and other staff networked their phones to call friends at neighboring facilities and eventually after taking taxis to two separate facilities over an hour away, we were able to retrieve our precious three units. Despite all odds, the young man slowly recovered over the next few days, and ironically he walked out of the hospital on day 5 to get on a motorcycle back home. In another run of irony, the next night we received a similar accident, with another spleen laceration requiring removal. This time the lights were on. It wasn’t all crazy. We often cared for similar medical conditions as back home, although chronic medical problems were exceedingly rare. In their place were things like malaria, tuberculosis, and what seemed like every tropical disease I vaguely remembered learning about in medical school. Needless to say, the experience was life changing. 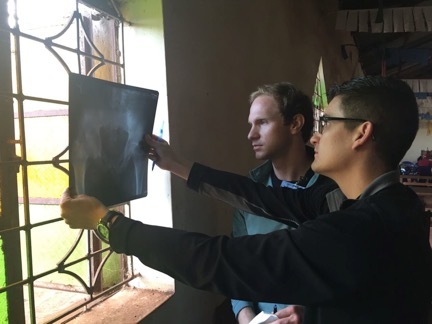 Overall, the trip to Uganda continued to be full of first time experiences; some I were prepared for, while others I learned along the way. I felt like that is the embodiment of Emergency Medicine though. One can never truly be ready. We can only read, learn, and train. Only then can we hope we have the knowledge and skills to help the people that are depending on us.